Play 9 or 18 gorgeous holes that trek through valleys and trail inlets. Forget making divots! 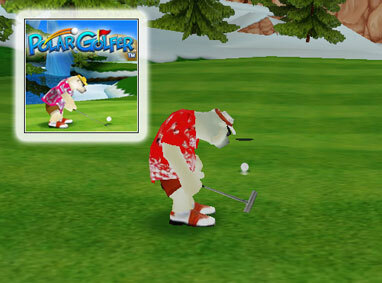 Polar Golfer has so much talent; he whacks the ball with just one paw! 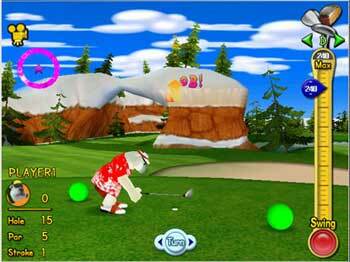 Guide the ball in mid-air and steer it on the putting green with your mouse. The characters you met and clicked with in Polar Bowler are back in this fun-filled sequel.